Yosif Al-Hasnawi is pictured in this undated photo. TORONTO -- Two Hamilton paramedics accused of failing to respond properly to a dying teenager's pleas for help have been fired, their union said on Wednesday. In a statement, the president of their local said the city had informed Chris Marchant and Steve Snively of their firing effective immediately -- a week after they were charged with failure to provide the necessaries of life. "This harsh and unjust action will be grieved by the union in an effort right this wrong," said Mario Posteraro, head of OPSEU Local 256. "This latest action sends a disappointing and unfortunate message to the City of Hamilton's paramedics and all paramedics provincially that bad patient outcomes may not only result in criminal charges, but now, termination of employment as well." Marchant, 29, and Snively, 53, were released after their arrests and are set to appear in court in September. The case arose after Yosif Al-Hasnawi, 19, was shot while trying to help an older man, who was accosted outside his mosque by two other men in December 2017. Police described Al-Hasnawi as a brave young man who had been trying to do the right thing. Witnesses alleged the responding paramedics accused Al-Hasnawi of exaggerating the extent of his injuries and took too long to treat him and take him to hospital. Hamilton police charged one man with second-degree murder and another with accessory after the fact shortly after the incident. Niagara regional police were then called in to investigate the way paramedics handled the case. Acting Hamilton Paramedics Chief Russell Crocker said in a statement Wednesday that the service had completed its own investigation into the response to the Al-Hasnawi call. However, it refused further comment. "As the matter is now before the courts and potentially involves both human-resource and labour-relations issues, we will not be providing details on the status of employment of the affected paramedics or the details of the internal investigation," Croker said. "(Hamilton Paramedic Services) remains committed to maintaining the integrity of the process and the health and safety of its residents." Posteraro, who previously called the criminal charges "precedent setting" and "game changers for our paramedic profession," said he was confident the men would eventually be vindicated. "The employer had a number options it could have exercised while the criminal charges were being dealt with through the courts," Posteraro said. "Instead, they decided to throw two of their paramedics under the bus by terminating their employment less than one week after (police) laid criminal charges." Posteraro said the employer's investigation -- which he said included multiple interviews with the two paramedics -- was focused on finding fault, not facts. 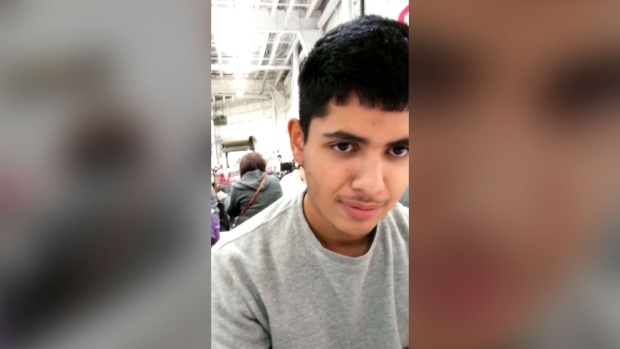 Al-Hasnawi's father and two brothers filed a still unproven civil lawsuit in January against Hamilton's paramedics, alleging they failed to treat their relative properly and that his death had caused the family extreme emotional and mental distress. Among others, the suit also named Hamilton police and the two men charged with shooting him.